Bigg Boss Tamil Season 2 Contestants List, Timing - How to Watch Online? Bigg Boss Tamil Season 2 Contestants List, Timing – How to Watch Online? Here are the complete list of Bigg Boss Tamil Season 2 Contestants List – The much awaited second season of popular show Bigg Boss Tamil has just started with much excited among television audience. Ulaganayan Kamal Haasan to host the show for the second season. Check out below to know more about participants, timing and how to watch the show online. Bigg Boss tamil 2 has created huge buzz among tamil television audience ever since the teaser release on Vijay Television. Bigg Boss tamil contestants for season 2 included many celebrities and some commoners. The list of 15 contestants from various profession to leave together in the house. Know more details about bigg boss tamil timing and how to watch online steps. 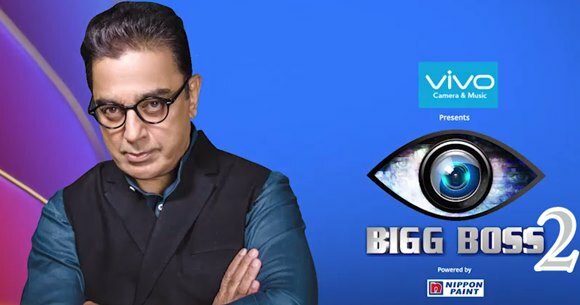 The grand launch of tamil bigg boss season 2 has happened on June 17th, 2018. Kamal Haasan to host after huge success of first season. Bigg boss tamil 2 participants to stay inside the house for 100 days. Check out below to know complete details about all 15 contestants of big boss tamil season 2. Here completing list of Bigg boss season 2 contestants, timing. Hope you found the information to watch Bigg boss tamil online. Stay tune here to know more information about Bigg Boss in scooptimes.com.